As any horror fan should already know there has been tons of found footage films just flooding the market over the past few years. At first I was open to them, then I just became bored with them. The film I have for review here today kind of does that sub-genre but in a very different way. If you take the concept of an anthology and mix the aspect of finding a mysterious tape and making that tape the focus of the film then you have what this film does. Really it's hard to describe, because it does something very different that what I have seen before. I will say that initially going into "All Hallows' Eve" I actually was thinking it was going to be just about a demonic killer clown, but I was very pleased by what I actually got. Let this autopsy begin! Beautiful, unsuspecting Sarah is looking forward to a quiet Halloween night at home with the two young teens she’s babysitting. Then, she discovers an unmarked old VHS videotape in one of the kid’s bags of candy. On the tape: a series of wildly outlandish tales of murder, torture and unearthly mayhem, all somehow linked to a diabolical clown-from-hell. 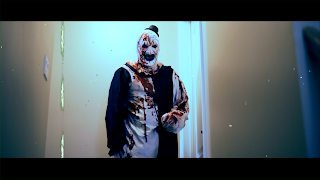 As each tale ratchets up the terror, bizarre phenomena begin to occur in the house, as Sarah discovers that the grimacing, white-faced clown on the video may be saving his most horrific All Hallows’ Eve treat… just for her. Each one of the segments are different and are great in their own way. The first segment is very much the most surreal of the three and follows a woman who is waiting at a train station who runs into Art the clown. After messing around with her a bit he drugs her and takes her to a dark underground lair where she runs into two other girls who are chained up. 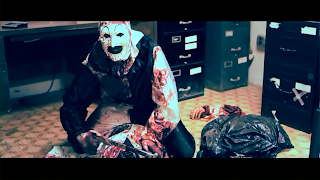 Will she make it out alive or is she going to be just another victim of the clown and his diabolical friends?! The second segment follows a young woman who just moved into a new home and is there all alone. 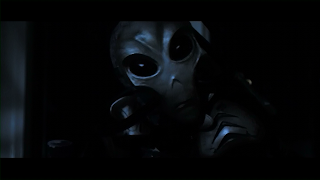 At first things just seem to be fine, but as the night goes on she encounters a flash of light which knocks out her power then she runs into a creature that is from another world. The last chapter in this grim anthology follows a young girls who stops to get gas at a remote gas station. She ends up having a run in with Art the clown which she gets away from, but not for long as she is mercilessly stalked by Art. Along the three segments there is also the wraparound story of the kids and the babysitter. As you know by now this film does revolve around the re-occurring character of Art The Clown which I hope to see a film just about him. The first segment is not that bad and has some very cool imagery, but seems like it should of been longer and would of worked as a whole film. The second segment which features an alien is pretty cool and does have some very good shocks. The final segment reminds me alot of the "Hitchhiker" segment from Creepshow 2, but does have it's own level of creepiness and by far the best ending. I did like the wraparound story and it does work well with the other three tales. 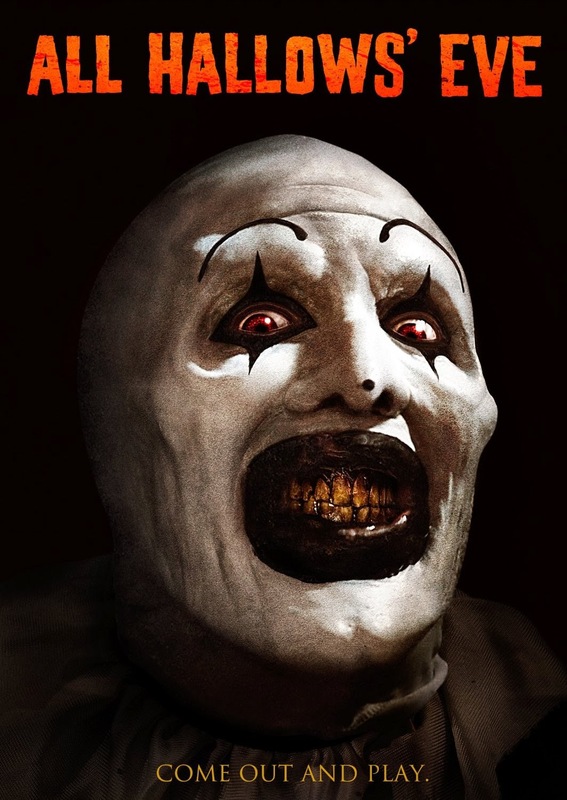 The ending of this film does have a great shock which does help to keep the impact that the clown left on the viewer throughout the film. The characters and actors are all great and I was especially surprised that the child actors actually were very good and it felt like they actually were brother and sister. Also the babysitter was excellent as well. 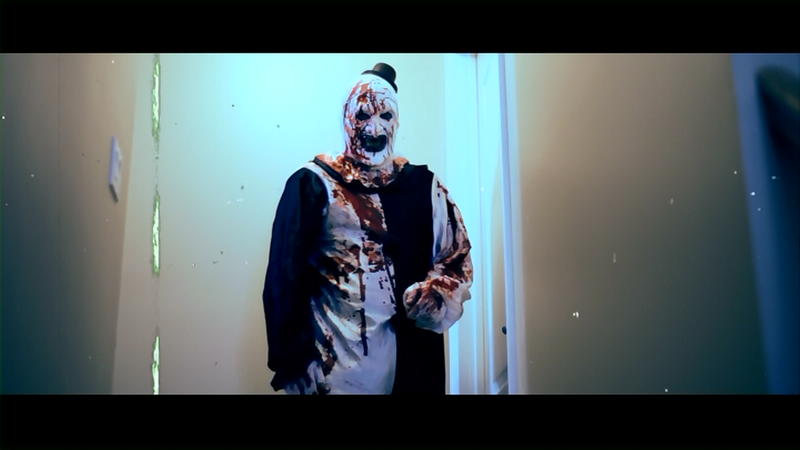 The shining character for me was Art The Clown which was creepy and awesome at the same time, he has no lines and has a look that will probably haunt my dreams for quite awhile! I really hope they keep going with that character because he is really the first clown in a film to actually have an affect on me since I was a kid watching "It" and seeing the very creepy Pennywise. When you see this film you will know what I mean. Overall this was a very cool anthology that is made up of a mixed bag of segments and has one of the best horror villains to appear on the horror scene in awhile! Art gives Pennywise a run for his money! If you like anthology films I say check this one out! It may not be a perfect film, but it is still damn entertaining! I give "All Hallows' Eve" a solid 4 out of 5 scalpels!